Hitting rock bottom from her own personal experience of losing a son gave Dr. Carolyn Ross a new meaning to her medical career. Ten years after his freshman year in college, her son died as a result of his depression, and it was a life-changing experience for Dr. Ross. At that point, she shifted her career to focus on mental health issues such as depression, anxiety, as well as addictions and eating disorders. When disruptive change occurs in our life, and if you don’t find that hook, it’s easy to fall into those eating disorders or addictions. Dr. Ross wrote her third book, The Food Addiction Recovery Workbook, to help people who are struggling with food and body image issues. She says we’re all victims in our lives of something but it doesn’t mean you have to stay as the victim. Understanding what’s wrong with you can lead you to understanding how you got there and start the healing. We have our special guest on the show, Dr. Carolyn Ross. I’m really excited about her being here. She’s an author, speaker and expert in using integrative medicine for the treatment of eating disorders, obesity and addictions. She’s the author of three books and one of it is The Food Addiction Recovery Workbook. Dr. Ross is also the CEO of the Anchor Program, which is an online coaching program for obesity and binge eating disorder. Ladies and gentlemen, please help me welcome Dr. Carolyn Ross to the show. Thank you, Carolyn for being here with us. How are you? I’m great. Thank you so much for that wonderful welcome. I think that you are doing great work in the world as a doctor and as an expert in your field. Can you tell us a little bit about that and how did you get involved with that type of work? I’ve been a physician for quite some time. In the middle of my career, I had a personal experience which shifted my focus from working in primary care and women’s health to working more with addictions, mental health issues and eating disorders. That was my middle son who suffered from severe depression from the time he went to college and he was unable to complete college because of his severe depression. Ten years after his freshman year in college, he actually died as a result of his depression. That was, as you can imagine, a really life-changing experience for me. It sent me on a journey of discovery for myself. When you give back, you get more than what you give. First, the journey was all about guilt and blame and shame and fear and all of those things that happen when you lost a loved one like that. He was only 29 when he passed. My second son, obviously the love of my life, he was an incredible human being, fashion photographer but very spiritual. I say he was my first spiritual teacher actually. That journey went from me feeling like, I should’ve done more, there should have been something I could do, I’m not just his mom, I’m also a doctor, to what could I do to help other people not have to go through what I’m going through. At that point, I shifted my career to focus on mental health issues such as depression, anxiety as well as the addictions and eating disorders. I started working at a rehab facility called Sierra Tucson in Tucson, Arizona. When I was there, I could sit before other parents and I could really know and they could know that I knew what they were going through. I could really help them do that journey that they were on and hopefully help them avoid losing their loved ones. It really gave new meaning to my medical career at a time when I had hit bottom from my own personal experiences and this helped me to resurrect my life. As you know, when you give back, you get more than what you give. I completely get it but before I talk about anything else, I just want to say my heart goes out to you regarding the loss of your son. I’m very sorry and my condolences to you for that. The way that you’ve really allowed yourself to pivot and find the good in that situation and help other people is very admirable. I commend you for doing that. It’s the same that you’ve done, Rodney. Not everyone can do that and I just acknowledged that because a lot of times when we lose someone in our lives, it causes the very thing that you’re doctor for, the addictions and other things in life because sometimes people give up when they can’t see their way out. You have a real-life experience with going through something like that and being able to come out of that. I just didn’t want that to go unrecognized. I didn’t reach for drugs or alcohol because that’s just not in my nature, but I suffered from pretty severe depression myself after that and had to crawl my way out of that. We all have opportunities to rise up and oftentimes what I’ve noticed is that we don’t use the hooks that have been given us. For me the hook has always been my children. My love of my children and my desire for them to have the best life that they can have has always pulled me through whatever challenges I personally face. At the time of Noah’s death, I had a nine-year-old son, my youngest son and he too was grieving because he was very close to his brother. My devotion to taking care of him and wanting to make sure that he got through it helped me through it. I think the message is the same as the message you’re talking about, “How do you change your mindset?” Because at the time that you’d lost someone, it’s like dark glasses go over your eyes and you can’t see any of the light on the sight. You may intellectually know that there’s light, but you can’t find it. It’s like you’re in a cave and every morning you wake up in that same cave. I think for people who suffer from all of the mental health issues that we’re talking about, whether it be depression, anxiety, addictions and so on, it’s the same. They have that mindset that really makes it hard for them to see their way clear to the other side. To change that mindset, you have to find a hook back into life. What changes the game and what changes the mindset is looking for and accepting that hook. For me it was my kids. For other people it could be work or it could be their faith or it could be that X factor that keeps you going when you don’t even want to keep going. I think if you’re aware of that and you look for and you’re willing, I’ve heard so many people say, “I’m willing, I want to get better,” but they’re not willing to do what it takes to get better. Willingness is saying, “I’ll do whatever it takes.” Willfulness is saying, “I’ll do this but I won’t do that.” I think that where we get stopped is in that place. I want to come back to the hook and the willingness. If I forget just remind me, but I just want to share that you are so right because I remember when I was lying in a hospital after being told I was going to be paralyzed for the rest of my life and will not be able to walk. When someone tells you that you will not be able to walk, you start thinking about all the things that you want to do in life that you perhaps may not be able to do. I was fifteen so I had a lot of life ahead of me. I just wanted to do everything. If there was anything that I could do, I wanted to do it and I felt like that was just not going to happen for me. I get a lot of people asking me, “How do you keep going?” Your drive, you continue to do all of these things. Thank you because that is my hook. I haven’t really realized it in the light that you just put that but that is completely it, because now I can’t stop. I can’t turn off my determination if I want to and the more I do, the more I want to do. I always hear that voice in the back of my head like you’re not going to be able to do this, you’re not going to be able to do that. It’s like a coach just yelling at me like, “Keep going, keep doing it, do more, you can do that.” Just getting back to what you were saying about the willingness, and this having that why. Why is because I know what it’s like when your life is threatened and because of that I just want to keep on going and just leave a legacy, leave something behind. To relate this to the audience, sometimes we don’t have a big enough why to keep going. We just don’t see the why. I think that’s more it. I think all of us have because it’s unusual for a young person like yourself when you were fifteen to be able to reach those reserves because when you’re fifteen, you don’t even know what you want to do with your life. You don’t even know what’s ahead of you. That’s unusual and says a lot about you and your character and how you were raised but for everybody, there is a why. Sometimes we don’t look for it. We don’t know it’s out there and sometimes we don’t recognize it when it comes about. We don’t. Sometimes the very thing that’s been put right in front of us is the thing that’s going to save us. For me, I went from being a very successful, well-known women’s medicine doc in San Diego and when my son died, I crashed and burned and then I was given this opportunity to do a fellowship and I’d have to move from beautiful San Diego. I had to move to Tucson, Arizona. That was a huge task for me but somehow I felt, “What’s the worst that could happen? Maybe this is going to help me.” I moved not knowing whether it’s going to work out for me, not knowing whether I’d even like it, but that was my hook back into life. It started me on the path of finding my passion again in medicine. When you’re a doctor and you aren’t able to save your own folks, you start to question anything you do. It sounds like this is a sensitive area. When disruptive change occurs in our life and if you don’t realize that hook, if you don’t find that hook, it’s easy to fall into those eating disorders or fall into those addictions. I believe that it’s one of the other because I’ve never seen people with big whys have addictions or behavioral disorders. What you’ll find is that people that have those types of disorders, they don’t have the why. This is a tricky little sensitive area here. Let’s address this because how can a person develop that why? How can they, when they’re at that crossroad, “I need my why, I need this willingness, I need a reason.” If they don’t have that, they make that decision or they fall into something that’s detrimental to their health and detrimental to their life. What would you suggest as a doctor when someone is in that area? Food Addiction Recovery: For most of the situations, it’s really not about what’s wrong with you, it’s about what happened to you. Before we go there, I want to just make a couple of few comments here. One of the things I see a lot is people blaming themselves when they are stuck in addiction or stuck in depression or have an eating disorder and they keep thinking what’s wrong with me? Even their family members will say, “Why can’t she just get her life together? Why can’t so and so just move on?” Then they start to internalize that feeling of, “Something’s wrong with me.” For most of the situations, it’s really not about what’s wrong with you, it’s about what happened to you. For me, this thing happened to me and it took me down to my knees and I had a choice to go here or to go there. In the beginning, all I could deal with was being on my knees and if I had continued to say, “What’s wrong with me? I must be a bad doctor. I can’t even save my own son, I should have done more. I should have done something different.” If I continued down that road, then I could have ended up chronically depressed and overeating. I think the first thing is to be aware when you are in that situation to ask yourself, “How can I shift the conversation from what’s wrong with me to what happened to me?” That doesn’t mean that you have to play the victim. We’re all victims in our lives of something but it doesn’t mean you have to stay as the victim. Understanding what’s wrong with you can lead you to understanding how you got there. A lot of times for many of the people that I work with, something happened to them when they were really young and they were not able to do anything about it. This thing that happened to them, whether it be having a family member who’s incarcerated, having a parent with depression or anxiety, witnessing violence in the home, all of these things which they’re now calling adverse childhood experiences. The more of those you have happened to you in your life as a child, the higher your risk is for mental health issues, addiction, and eating disorder. Why is that? Because those experiences actually change the way the brain is wired. They changed those connections between the nerve cells in the brain, the neurons in the brain. All it takes after that is some other trigger and that addiction gene gets turned on, that depression gene gets turned on and so on. I just want people to understand that it isn’t always just a matter of let’s get up and raise ourselves from our bootstraps. Sometimes you’ve got to work on getting your boots on first. I think what happens is when things do happen to people, they automatically go to, “What’s wrong with me?” When you start asking yourself that question, your mind begins to try to solve that mystery. It starts coming up with answers and then you start believing those answers like, “It’s probably this, it’s probably that, or I’m this and I’m that.” Over and over, this gets into your subconscious and it becomes a part of your being. Before you know it, it becomes a part of your identity and that’s how you see yourself. Your self-image is made up and mimics and mirrors that thought pattern. That’s exactly what happens. You get into that track of, “What’s wrong with me?” Then your mindset changes to solve the problem and it comes up with those ways of justifying it. I love the sequence that you put together there because that’s exactly what happens to people. Could it be that if we’re going to have a game changer mindset, whenever we are in debilitating situations, hard situations, even somewhat depressing situations, that we develop a mindset of life happens to me sometimes but that doesn’t mean that something’s wrong? There is a phrase that someone said to me when I was in my down and out position. It was a friend and I was confiding in her house feeling so negative and so bad, and she said, “Carolyn, don’t you realize you always land on your feet?” That’s how other people saw me but that wasn’t how I saw myself. When she said that and I heard that then I started thinking, “She’s right, I’ve always landed on my feet.” I started to have a little more faith and the possibility that life could get better. I think that’s what we call hope and a lot of times when you are down and out, you can’t see the hope anymore. You have to have faith that whatever is happening right now, it doesn’t have to be your identity or your destiny for the future because life is always changing. It’s always happening to us but when we’re in that little dark cave, it looks like you’re going to be in that cave forever. If you can bring a moment of thought to it that things can change for me. Things are happening, I may not see them happening but I’m going to get through this. You asked the question about what can people actually do? I think that’s a great question because I know when you are down and out, it feels like you can’t do anything. It feels like you can’t barely get up and eat, sometimes not even shower, do your hair. What I found is if you can find one thing that you can do every single day that shifts your mindset even if it’s a tiny bit, that will help. Your brain is the master controller. If you eat for your brain, that will affect your mood and all of your decision making. For me, it was listening to tapes. I would listen to Eckhart Tolle or I would listen to spiritual music in the car or all kinds of small things that are passive. It doesn’t require a lot of energy, but it just takes a little bit off the edge of that dark cave and shines a tiny light in there. You do that on a regular basis then the light starts to get bigger and bigger. One of the things we tend to do when we’re down and out is just to let our food program be held in a hand basket. What I’ve learned in medicine and particularly integrative medicine is that the brain which affects our mood, affects our mindset. The brain uses 50% of the calories and the oxygen that comes into our body. Even though it’s this size and yet it takes because it’s constantly working. Even when we’re asleep, our brain is still burning calories. What I’m suggesting is that you eat for your brain. Everybody knows we had to eat for our bodies. A lot of people are so tired of hearing them. They really don’t understand what it means but when you think about it, if you eat for your brain that will affect your mood and all of your decision making. Your brain is the master controller so how can you feed the brain better? Junk food and all of the kinds of food that’s part of the American diet put the brain on fire. If you’re feeling bad about yourself and yet you’re getting up and going to McDonald’s and eating junk food every day, that’s putting your brain on fire. Then your brain can’t make the feel-good chemicals that it wants to make to help you out of the situation you’re in. You can start, even if it’s just a tiny thing, starting to eat a piece of fruit a day or cut off one of the junk food grants. Just one, still eat the rest but cut off one. Think about what your brain needs to survive and to function well and just do a little bit of that. Then we know that exercise, any kind of exercise. Walking for five minutes a day is actually much better than medication for depression. When I was down on my knees and I couldn’t see myself going out and going to the gym, I would just take the dog for a walk. I would ask my son to go for a walk with me. I’d call a friend and say, “Meet me for a walk, just so I could get up and move my body and start feeling a little bit better.” Those are some things that if you really want to get well, if you can just bring yourself to do one little thing a day. We’re here with Dr. Carolyn Ross and she’s just given us three game changing tools that we can use. If you find yourself in depression and dealing with addiction and you’re trying to come out of it, here are some game changing tools that you can do yourself. I love these things because they’re so easy to implement and she’s talking about changing your shift and focus. Stop focusing on the things that are not going so great and start shifting your mindset towards something else, maybe listening to some music, something that makes you feel good to get your mind off of what it is that you’re going through. She also talked about eating good foods because your brain needs food to put you in that good feeling, that feel good mood and exercising. Those are three game changing things that are easy to implement into your life. If you find yourself in these types of situations, this is how you get up and come out of it. I believe in power foods. 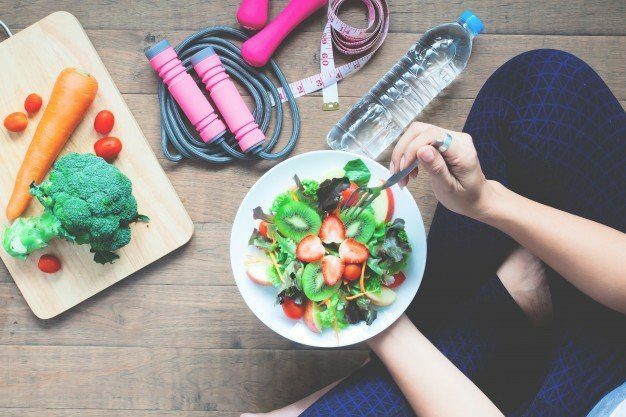 There are certain types of food that will always put you in a good mood and give your brain the nutrition that it needs to function properly. Are there some powerful words that you would recommend or anything like that? I think of power foods in two ways. One is like what you said, and then the other way is our food so that you can use that when you eat them, they automatically shift you back to a healthier diet. Some people may have foods from childhood that are really good that put them in a happy mood and we call those comfort foods. Not all of those are necessarily healthy foods but sometimes they do give us comfort and there’s nothing wrong with that. There are also other foods that are power foods for mood and behavior. One of those is anything that contains the Omega-3 fatty acids. Omega-3 fatty acid foods are things like salmon and tuna. If you don’t like fish, go to walnuts, other kinds of seeds and nuts that have omega three fatty acid. That’s one of the power foods for this group. The second one is anything with B vitamins. If you don’t like these foods or if you haven’t learned to like foods that are dark leafy greens like spinach and collard greens and kale, you can actually get a supplement in that and that’s because you need B vitamins. That’s what I’m getting in to. You need an assortment of B vitamins because those help your brain make the serotonin, dopamine and those make you feel good. If you’re not big on eating green leafy veggies, then go to the drugstore and get a B complex vitamin and take that every single day. If you don’t like fish and you want to get Omega-3, you can get Omega-3 fatty acid supplement and take that every day. Those are probably the two best nutrients and foods that you can get to help your mood. I want to go back to something that you said a little earlier in the show about how certain things that we could think when we think something is wrong, is it triggers certain neurons in the brain that it turns on those depressing moods. I know you mentioned that listening to music or shifting your focus on other things can help you come out of that, but what are some even more tangible things that people can do to turn on those neurons or turn off those things that make them feel bad and turn on to things that make them feel good? Food Addiction Recovery: It’s diet and lifestyle that really turning the genes off or on. All of the experts in integrated medicine, including my mentor, Andrew Weil, Deepak Chopra, and some other people that together, published an article in the Wall Street Journal on this very topic on how you turn on the good genes and how you turn off the bad genes. It’s all diet, lifestyle, supplements and all of those feel good things that we do. It’s diet, exercise, supplements. We talked about all three of those. It’s doing things that make you happy, even if it’s just a little happy because that triggers the dopamine reward center and when you triggered the dopamine reward center, it releases dopamine, which is the pleasure molecule in our brains. That pleasure molecule gives us pleasure when we play with our kids, when we watch a sunset, when we take a walk on the beach or wherever. It’s diet and lifestyle that’s really turning the genes off or on. What I’m hearing you say is self-care. That’s exactly what I’m hearing and I love self-care. I don’t do it enough. I need to incorporate it more into my routine but what I’m hearing you say, doctor, is that if you perhaps are going through some type of traumatizing situation or experience, that self-care becomes the priority for you to get on with it. That’s such a good way to call it, self-care and it can include things like massage, getting a massage, getting acupuncture and all of that. I want to mention one more and that is getting support. In the book that Andrew Weil wrote about all this people who live beyond 100 years old, the main factor was social support. If you are a part of any kind of community and that’s why the twelve step communities, they all help. They helped because they provide social support and they help a lot of people who may have big families or may not have close friends who are not using, but they can go to an AA meeting and get that kind of support. You can get it in church, you can get it by calling a best friend, you can get it by talking to your husband. A lot of people are stubborn and they don’t want to reach out for support. They want to do it all on their own. I’ve seen people, they associate asking for help or getting support with weakness. It’s not weakness, it’s actually a source of strength when you go get that support. It benefits those who are offering support too. When you give support, you also get that feel good feeling in your brain. It’s hard sometimes because a lot of times people have environments that are not conducive to their success. It’s not conducive to them being broke, it’s not conducive to them coming out of a situation. People have to reach far sometimes to get the support that they need. There’s a lot of negativity in the world. You and I both know that and that’s why I love my work because I like providing an outlet for people, providing a place where people can be heard and they can be considered in and be significant. That’s so in between in this world today. Are there some other suggestions that you have for people that may find it difficult to change their environment and get the support that they need? I want to just say a little something about families because what I see that hurt a lot of people is if they come from a really dysfunctional family and they think, “My family should help me,” or “I shouldn’t make my family help me.” Many times, their families just don’t have either the emotional or the financial or whatever it takes that they need. When I was growing up in the south, we used to call it play momma’s or play daddy’s. You would have almost like a godmother or just a person in your life. It may even be someone at work who is your friend with and they become like a mother figure to you or they become like a family member to you. I just encourage people to really look honestly at their families. If you’ve been going to the family well over and over and over and you’re finding the well is dry, you got to just acknowledge the well is dry. There’s nothing you can do about that, and so then you look outside of the family and as I mentioned, the twelve step meetings are always a great source of support. At almost in every hospital, there are grief and loss groups. If you’re grieving a loss, then you can find a grief group in town. We have online meetup, the MeetUp.com, they have groups for specific issues that people have. I would just look around you and find something that you feel comfortable with that actually meets your needs instead of beating your head up against the brick wall of your family. Let’s talk about that a little further too, because I’m hearing you say that not having a family is no excuse, but I think it goes even deeper than that because you have to be able to get certain things off your mind. You have to be able to talk about certain things and having that person to talk to is key because if you don’t, the alternative to that is internalizing all of those feelings. Internalizing all of those thoughts and not getting them out and that in itself multiplies the situation. In my opinion, please correct me if I’m wrong, but not having an outlet really causes depression and causes addiction to just expand and multiply. Would you agree with that statement? Your emotions will not go away unless they are expressed. I would 100% agree and I think it’s a real problem in our community with our black brothers and sisters. It’s a problem with Hispanic community where there’s that machismo and particularly for men, but also for women. They feel like, “If I asked for help, that means I’m not a man or I’m weak or whatever,” but you are 100% right. Emotions are meant to go come up and out. They are energy and energy need to be on the move. When it stagnates, it then just expands inside of you and makes things worse. If you think of energy, like the energy of anger, if you hold on to anger and you become very tight and rigid, it just makes everything worse and your reactions to people. It’s the same thing with sadness. If sadness stagnates inside of you, it just makes you feel heavier and heavier and less able to move through it. Emotions are supposed to move through. Your emotions will not go away unless they are expressed. Emotions will have their say, you cannot avoid that. I try to look at things practically. What I’m hearing is when we see these examples of depression and addiction, as a doctor, I guess when you’re treating this stuff and you’re dealing with it. That to me makes it so clear. We have a case where the emotion is not able to pass through. It’s stagnant, it’s still. As we know, life is motion. Life isn’t still, it flows. Whenever there is a disruption of that flow, even with our emotion, it causes breakdown. Breakdown turns into decay and eventually death. Not to really just dissect the situation, but I’m really trying to bring forward the importance of getting that flow back into your life. You know that from being in sports how a team even can be in the flow. Power player in a sports or game like football or soccer or whatever can be having a great day and some days not so great. The goal though is for us to be in our own flow on a regular basis. If you think of it like a river, the way that emotions are supposed to go is supposed to be like leaves floating on the river. They just go past us, we see them. “I was really pissed yesterday. I’m dealing with that. I’m talking to somebody about that and moving on, etc.” Sometimes in a river you’ll get a blockage, a dam like beavers build and then the water backs up and it can flood. Just visually that what you talked about the flow, if you think of all the rocks in the river where sometimes we can step across the rocks to move forward and other times we tripped up on the rocks. All of those rocks are like emotions under the surface and yet they have an effect on us every day. When you carry anger home from work and then you start yelling at your wife or yelling at your kids, that’s you not expressing your anger in a way that benefits you and yet it will be expressed and so it comes out sideways in you yelling at your kids. Some other kinds of sickness or disease or behavioral issue or addiction are something like that. I hope the listeners are getting as much out of this as I am because the way you’re articulating things is really driving the point home on how self-care, exercise, eating properly, getting the support, making sure that you have outlet for your emotions, those things that sometimes get bottled up inside of us and allowing that to flow through you. That is the key to having a healthy mental and emotional state in life. That’s also the key to changing your mindset. We started by talking about how the mindset is really what’s formed from your life experiences, from your childhood experiences. They form you. As you know, there are certain people who grow up in communities where all they see is violence and hatred and anger and so on. They grew up to be angry people, often self-medicating by using drugs or alcohol or even an eating disorder. Until those experiences are dealt with, when I see people coming into treatment centers where I’ve worked, I know that most of them have had a lot of stuff happened to them before they get to me. We’re shifting that conversation and trying to say, “How can we heal what’s happened in the past so that we can erase all of that from our mindset, take those dark glasses off and see if we can navigate a new world?” You see them happen sometimes in people who are in prison where they developed a different mindset. There are a few famous cases and they have used their prison experience to shift their mindset and that’s what it takes to make this game changing life. Let’s talk about that a little bit. Let’s talk about vision because at the beginning of the conversation, we were talking about having a why and you talked about with your experience, I think you said that you’ve seen what was possible for your life. I think that’s critical to be able to see what is possible, even in the darkness, you can see, that’s definitely what happened with me, I’ve seen what’s possible. Even if I couldn’t walk again or run again, I’ve seen that there was something possible for me. In addition to everything that we talked about, another key element here is having a vision or developing a vision for what’s possible in your life. What are your thoughts? You are 100% right and not everybody can do that initially. I know that some of the people I work with, they may have had a vision for their lives before they get hooked on drugs or alcohol or became severely depressed, but they can’t even remember it. Then when they get sober, we start talking about what’s your hook? One of my patients is training to be a paramedic now, and he’s in his 40s, but that was a dream for him. Another patient is a businessman and so on and on. Sometimes someone has to hold that vision for you. Someone has to see something in you that you don’t see in yourself. For me, that’s how I see it as part of my role. I was talking to a patient yesterday and he comes from a very wealthy family but he’s been a heroin addict for years now and all of his friends have grown up, got married, finished college, and he’s behind. You know what it’s like if you’re 40 years old and everybody’s moved on beyond you and it looks like you’re staring down a long-life tunnel with nothing to look forward to. I hold the vision for him and I even said to him, “One day you’re going to be married, you’re going to have children and this is why you need to learn how to take care of yourself now.” I’m supplying a hook for him. He’s like, “I can’t even think about that now.” I’m like, “Don’t worry about it. I’m thinking about it for you. I’m holding it for you.” I had a patient with anorexia that was so severe. It was really life threatening and the same thing happened, I helped her to hold the vision and she got better. She went to school and now she’s a therapist who works with children with eating disorders. Maybe it’s a parent, maybe you’re lucky you have a mom who sees you, but you just need one person to see you and that will help you start taking those little tiny steps until you get to the place where you’re seeing the vision yourself. Yes, but even if you don’t have a vision, you can say, “I can’t see the forest or the trees, tell me what you see.” I’ve definitely done that for my children where I’ve said, “I know this is a rough time for you but I can see that things are changing. You may not see it, but things are changing and that’s the kind of thing that gives hope.” We aren’t all strong in character. Some of us are frightened of things. Some of us struggle doing the hard stuff and if you’re one of those people, you can find people to lean on. You’ve heard me talk about addiction a lot before and the thing that drives me crazy the most is when people view addicts as, they’re weak or they have moral failing or something’s wrong with them, because what it does is it takes away that vision. It takes away the space that you could be holding for them to become who they truly are. Having addicts in my family, I know that what they want is what all of us want. They want to be loved, they want to love other people and they want to contribute. They’re very sensitive and they want to feel like they’re contributing. In whatever way you’re able to hold space for an addict, I’m not saying let them take advantage of you, you got your firm boundaries and then you’ve got your space. That’s what we need to help people go pass these addictions, eating disorders, depression. Tell us about your book, The Food Addiction Recovery Workbook. What is that about? 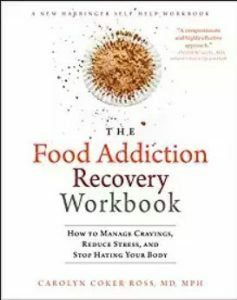 The Food Addiction Recovery Workbook is my third book in my trilogy. My first book was on binge eating disorder and compulsive overeating. The second book was on emotional eating and this book is on food addiction. It’s really to help people who are struggling with food and body image issues and to give them this kind of frame that we’ve been talking about. It’s not about, “I’m a bad person or I’m weak or I don’t have willpower.” It’s really about what’s happening in the brain, how do you replenish the dopamine reward center? How do you heal from the things that have happened to you in the past and from there then, how do you deal with food and your body image? That’s basically it and it’s available in a lot of bookstores and it’s also available on Amazon. Where can people reach you if they want to learn more about you or contact you or reach out to you for support? How can they do that? My website is CarolynRossMD.com. They can email me through that website. I’m also on Facebook, @CarolynCokerRossMD. You can go to my website and you can click directly through to the Facebook page from there and in the Facebook page you can message me. I am definitely willing and interested in talking to people about these kinds of topics and I even offer a fifteen-minute free consult. I’m lowering the barriers of access here. For the audience, please take advantage of this wonderful woman who’s a wealth of knowledge and has a heart for helping people. Carolyn, I thank you so much for being on the show. This has been tremendous, full of information and I love your spirit. I love what you’re doing in the world. Thank you for being here. Thank you, Rodney. It’s been such a pleasure to be with you. My last word is take one step today. Just one step. Do one thing of self-care. Just pick one. Maybe it’s just drinking extra glass of water today. Just do one step for yourself today because you deserve it. Thank you, Dr. Carolyn Ross, author, speaker and expert in integrative medicine and parting her wisdom on us. Thank you for listening to another episode of the Game Changer Mentality podcast. We’ll catch you next time. Dr. Carolyn Coker Ross is an internationally known author, speaker, expert and pioneer in the use of Integrative Medicine for the treatment of eating disorders, obesity and addictions. She is a graduate of Andrew Weil’s Fellowship Program in Integrative Medicine. She is the former head of the eating disorder program at internationally renowned Sierra Tucson. 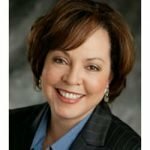 Dr. Ross is a consultant for treatment centers around the US who want to include her unique integrative medicine approach to help clients recovering from eating disorders and addictions. 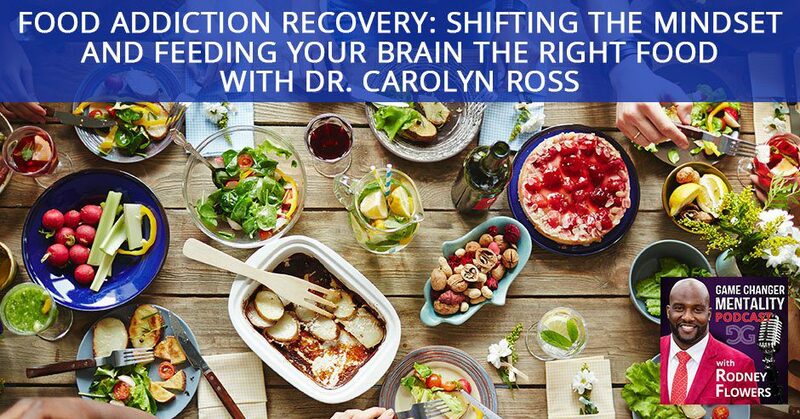 She is the author of three books, the most recent of which is The Food Addiction Recovery Workbook. Dr. Ross is the CEO of The Anchor Program™, an online coaching program for obesity and binge eating disorder. She currently has private practices in Denver and San Diego specializing in Integrative Medicine for treating eating disorders, addictions, mood and anxiety disorders and obesity.